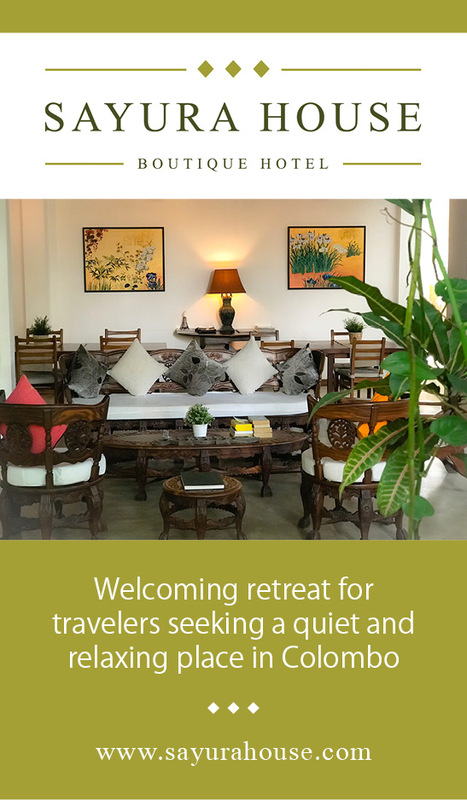 You don’t have to be a history buff to enjoy the fabulously rich history and culture of Sri Lanka that dates back thousands of years! Enjoy the unique cultural wonders of this tropical paradise with unforgettable visits to ancient ruins and designated UNESCO World Heritage Sites. 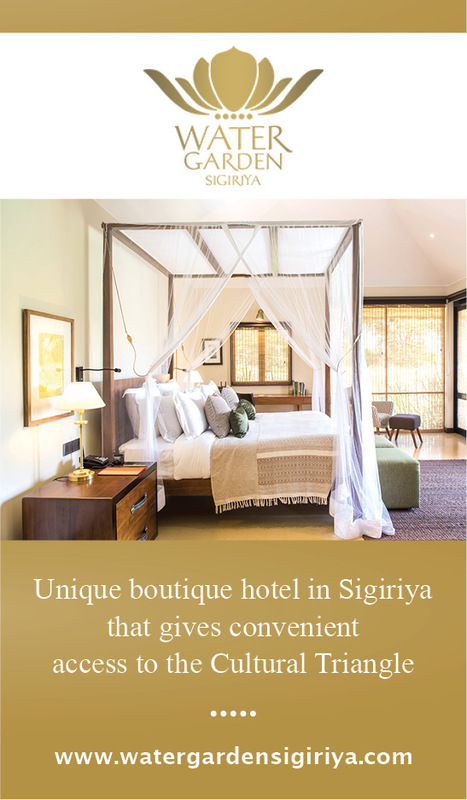 You will get to see the fabled Sigiriya rock fortress, an ancient royal stronghold built into solid rock. 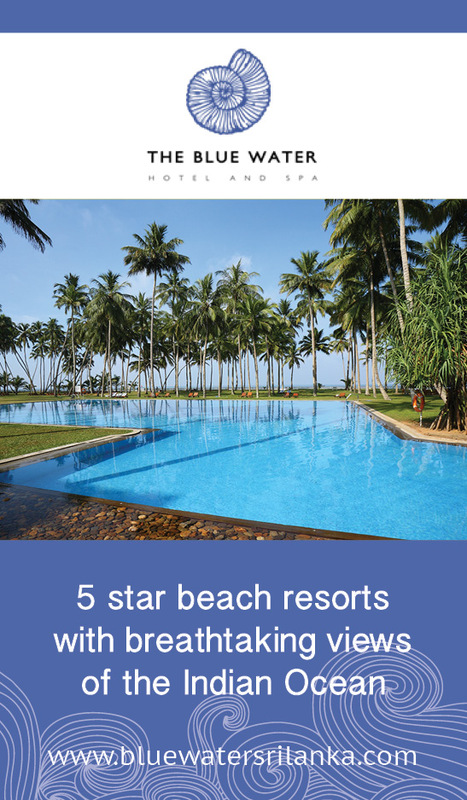 You’ll take breathtaking tours of Sri Lanka’s Cultural Triangle and discover stunning ancient temples, monasteries in caves, centuries’ old Hindu shrines and ruins of luxurious ancient royal abodes. While enjoying these cultural marvels, you will get to enjoy the tourist perks Sri Lanka is known for, especially the elephants! You will go on extraordinary elephant-back rides and visit an elephant orphanage, where you can enjoy watching rescued elephants bath and play. Don’t miss out on this opportunity to immersing yourself in an amazing adventure. Lunch except mentioned in "included"
After breakfast your driver will pick you up from your hotel to take you to the Cultural Triangle. Along the way, enjoy the lush green landscapes of Sri Lanka. 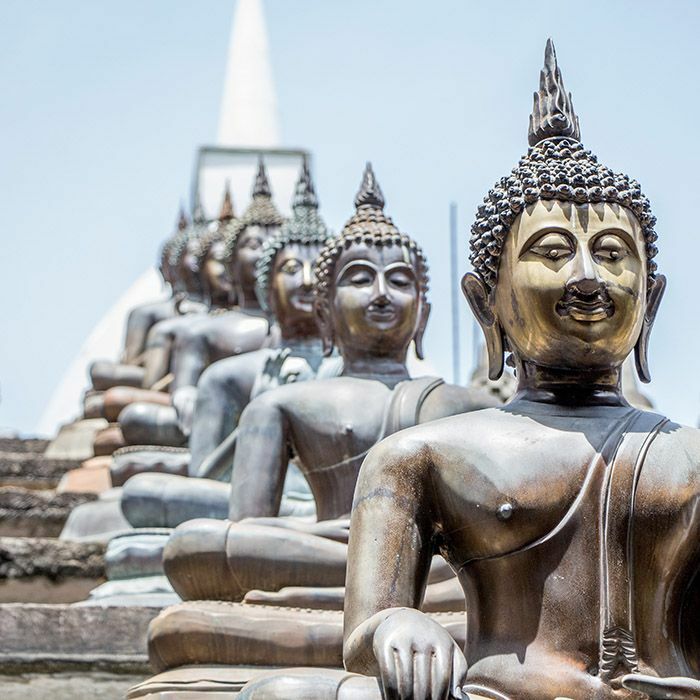 After settling in at your hotel, you will visit the UNESCO World Heritage Site Dambulla Golden Temple, with its Buddhist caves perched on top of a hill. 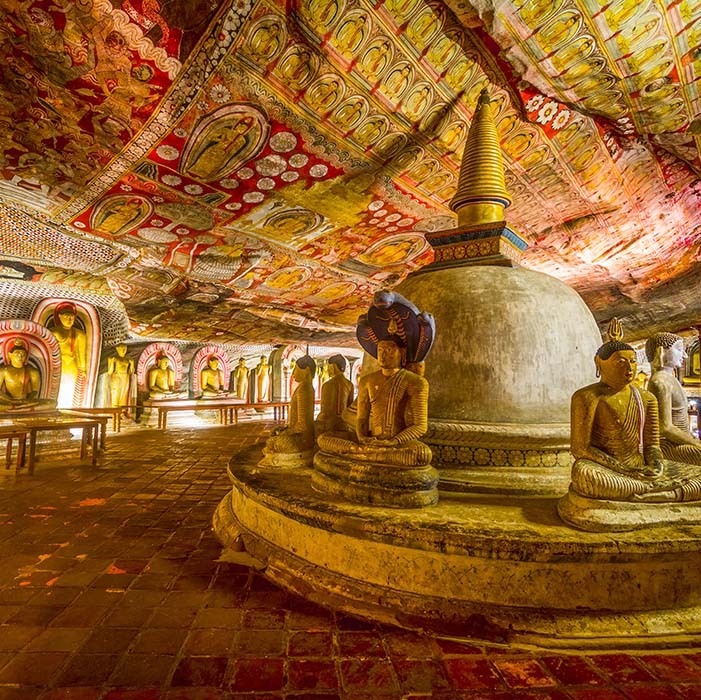 You will discover murals, statues of Buddha and dagobas, all scattered in 5 caves. From above you can enjoy a beautiful panorama of the surroundings. Dinner at the hotel (included). Breakfast at your hotel. 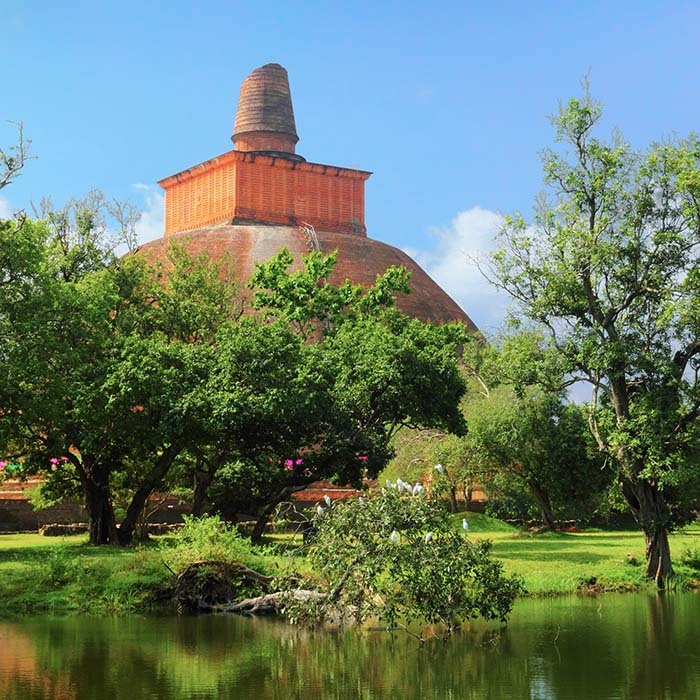 Embark on your first Sri Lankan cultural site tour to Anuradhapura, formerly the flourishing royal capital of an ancient kingdom. You can still witness the glorious past of this venerated city in the well-preserved ruins of ancient palaces, temples, kovils, bathing pools and other structures. Many of the ancient Buddhist temples are still active, and you can visit the sacred Sri Maha Bodhi tree, believed to have grown from an imported branch of the peepal tree that sheltered the Buddha as he meditated towards Enlightenment. 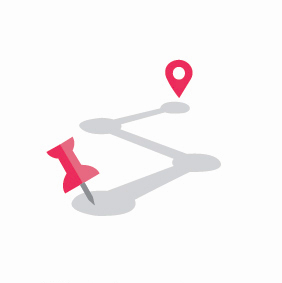 Your driver will guide you through the many historic dagobas of the city and tell you fascinating anecdotes of the city’s past prosperity. Enjoy a delicious lunch and go to Mihintale. Climb 1,800 steps to reach this scenic village perched on a hill where Buddhism was first introduced to Sri Lanka by envoys of Emperor Asoka. Enjoy the breathtaking scenery on top. 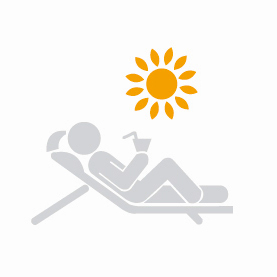 Afterwards, return to your hotel for relaxation and overnight. Dinner at the hotel (included). 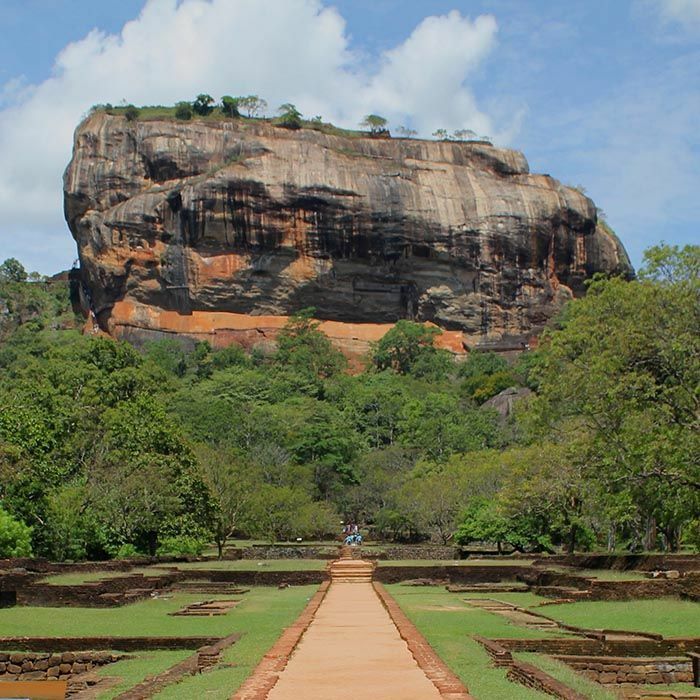 Early in the morning arrive at the most visited site in Sri Lanka, the Sigiriya rock fortress, also a UNESCO World Heritage Site. Explore the stunning frescoes, gardens with natural caves and ruins of the ancient royal palace on top of this legendary structure. Enjoy a delicious local lunch and visit Polonnaruwa, a celebrated ancient capital of Sri Lanka from 11th to 13th centuries. Explore the ruins of ancient Hindu temples and royal palaces of this eminent city either on foot or by bike. Don’t miss a chance to visit the incredible Gal Vihara, which houses Buddha statues carved out of granite. You should visit the archeological museum to learn the engrossing details about the kingdom’s subjects who lived almost a thousand years ago. Afterwards, drive back to your hotel for overnight. Dinner at the hotel (included). After Breakfast hit the road to Kandy, the last royal capital on the island. 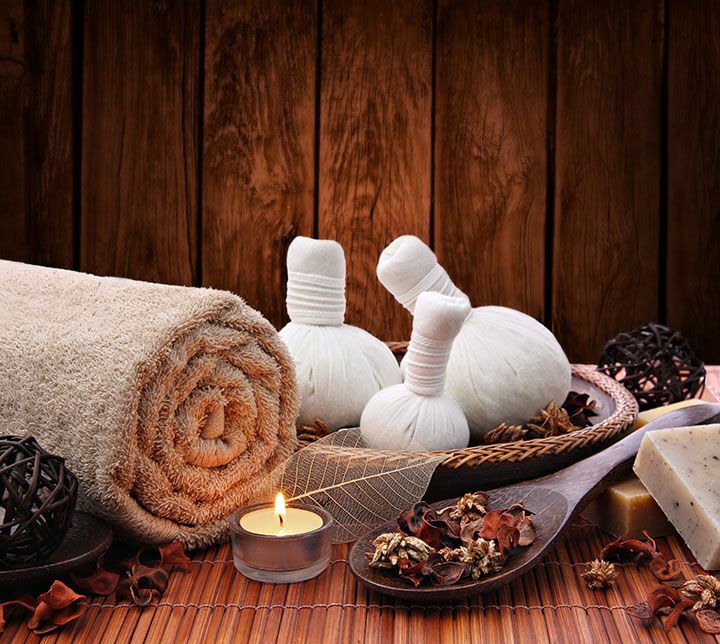 On the way, visit an exotic spice garden in Matale and stop by unique Buddhist and Hindu temples in Nalanda Gedige. 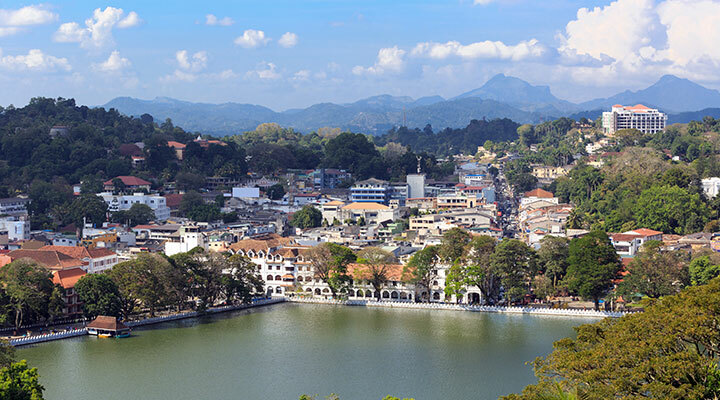 Arrive in Kandy and discover this historic city on foot. 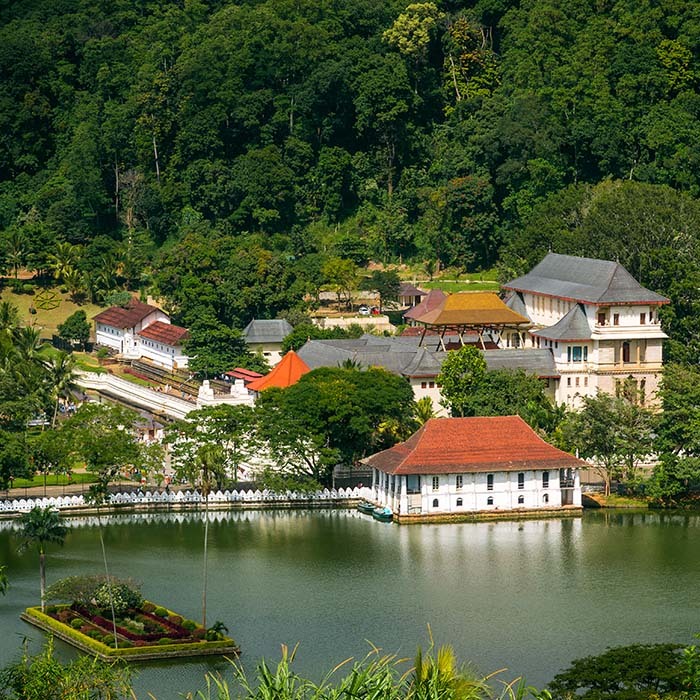 Visit the holy Temple of the Tooth, a popular Buddhist shrine believed to hold a tooth relic of the Buddha. Then take a refreshing stroll around the scenic lake of the Temple and stop by the vibrant vegetable market nearby with diverse collections of healthy veggies. Spend the late afternoon attending a beautiful cultural show with traditional dances. Return to hotel for dinner (included) and overnight. 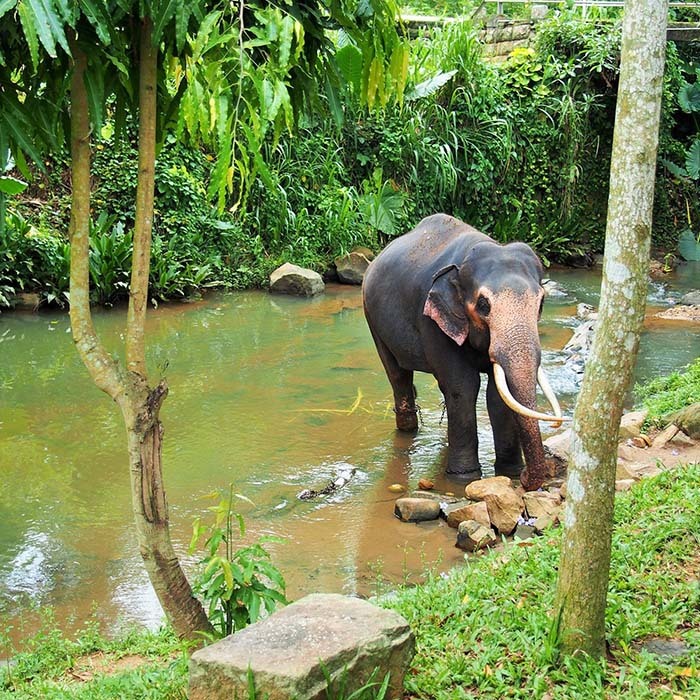 After early breakfast, leave to visit the Pinnawela Elephant Orphanage to watch elephants bathing and playing in the river! (Avoid going to watch baby elephants bottle feed, which is a tourist trap and traumatizing for the little ones who have to be chained so tourists could enjoy the show.) Afterwards, you can visit the Millennium Elephant Foundation, where you can tour their fascinating museum until it’s time for your elephant-back ride. The elephant will ride all the way to the river. In the afternoon, go for a refreshing walk in the Peradeniya Botanical Gardens to marvel at their impressive collections of orchids, roses, royal palm trees and other stunning flora. Return to hotel for overnight. Dinner at the hotel (included). After a scrumptious breakfast, you will take an exciting train ride to Colombo, the island’s economic capital and the largest metropolis. You’ll arrive at the Fort station where your driver will pick you up and take you on a tour of the city through the fascinating old districts of Fort and Pettah, with its bazaar, its mosque and the district of City Hall with its colonial buildings. Walk around Beira Lake to discover the Buddhist temple of Gangaramaya. It's also an opportunity to stock up on souvenirs.Then you’ll be driven to the international airport in time to catch your flight back home.